I recently attended a mandatory staff training session at one of the health systems in which I work. Billed as a communication class, it addressed why we ought to show empathy for our patients. The reason given for such empathy training was that it translates to better satisfied patients and families, but it also happens to result in better satisfaction scores and improved hospital revenue. The implication, and indeed the popular concept, is that empathy is something you do for someone else. We feel empathetic toward those less fortunate; we should reach out to ease their burden. The truth is, however, empathy is really something you do for yourself. Empathy is an emotion - and remember, emotions do not drive behavior. Rather, emotions are the result of decisions made in the Hidden brain, made outside of one’s conscious awareness. The Hidden brain uses chemicals, like adrenaline and dopamine, as messengers to rapidly communicate the decision it has made. For example, when there is a threat, the amygdala is activated and adrenaline is released, causing the heart to race, palms to sweat, and vision to focus, all designed to make you ready to act in the face of danger. The emotion you feel is fear, but fear is not what led to the decision to act. In fact, studies show that these physiological, unconscious effects all occur milliseconds before you’re even aware that a threat exists. Emotions are the message used by the Hidden brain to let you in on what it has decided. So what decisions in the Hidden brain lead you to feel empathy? Empathy is what you feel when your brain has decided that another person’s experience carries significance for your own success. Empathy is not the cause; it is the effect. Emotional intelligence is not about managing others. It is about managing yourself, and having a deeper understanding of what success means for you - which is not nearly as clear cut as it might appear. What constitutes success for one person does not necessarily work for another. We are certainly aware of some parameters of success, although we often do not delineate these to ourselves or to others nearly as well as we think we do. You never really know how you will react in a given circumstance until you have to. 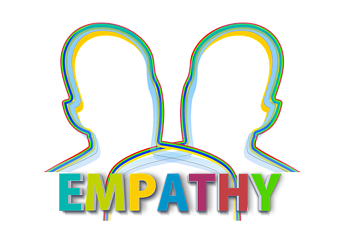 The real benefit of empathy is that it represents your brain paying attention to factors it had previously either ignored, dismissed, or not considered so important for success. Yet, this is often the very information one needs to be successful, so why does the brain do that? That insight answers a lot about why organizations struggle in the face of change. I thought those teaching the class had great energy and good intentions, but it left me wondering who else in the health system really needed this training. Mark is a residency trained, board certified Emergency Physician with over 25 years of clinical experience. His soon to be released book, Free the Brain: Overcoming the Struggle People and Organizations Have With Change, takes a look at what neuroscience research says about how the brain operates and provides some real insight into why organizations do, or don’t, function so well. Learn more about Mark and read his other posts on the KaiNexus blog here.